Secretary of state and Green Party candidate want the state's 880,000 nonaffiliated voters to have a say in primaries. 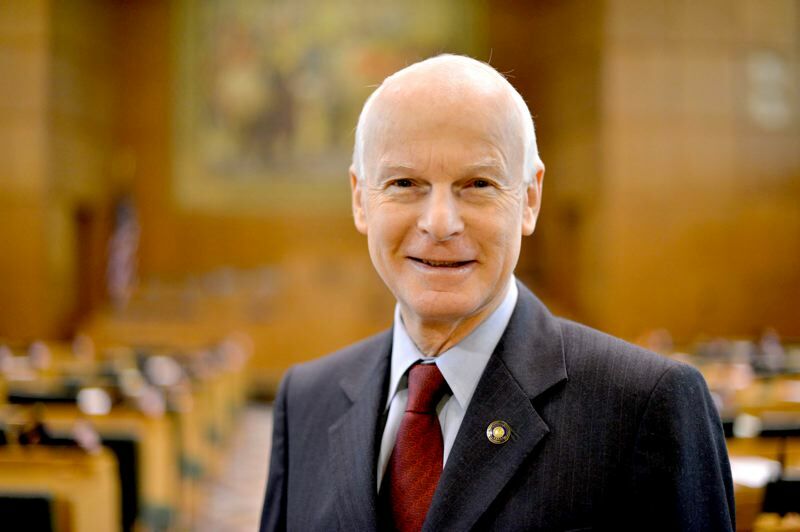 SALEM — The growing bloc of Oregonians who don't belong to any political party could have more say in elections under a new proposal from Secretary of State Dennis Richardson. Richardson got the idea from a former rival: Alan Zundel, the Pacific Green Party's candidate for secretary of state in 2016. Since the election, Richardson, a Republican, and Zundel have formed what, on its face, is an unlikely alliance between people with disparate political views. 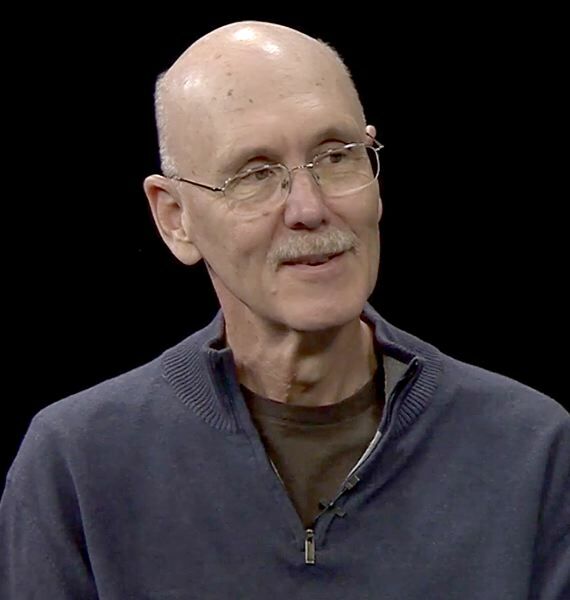 Two years ago, Richardson tapped the retired political science professor to lead a task force studying how the state draws legislative and congressional districts. And now Richardson's office is advocating for Senate Bill 225, which is based on a concept Zundel suggested to him last year. It would allow nonaffiliated voters to participate in their own primary. "I've been interested in how our electoral process works for a long time, particularly in how the two-party system limits competition and keeps the voting public from exposure to more than just two points of view on issues," Zundel said. When Zundel was seeking office, the Pacific Green Party came the closest to aligning with his beliefs, but he's spent most of about a decade in Oregon as a nonaffiliated voter, he said. 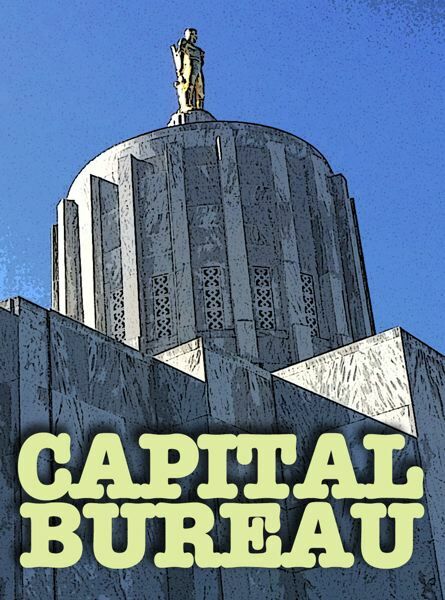 Under current law, nonaffiliated Oregonians can vote in primary elections only for nonpartisan positions such as for judge. They have no primary vote in races set up by party, such as state representative or governor. Richardson and Zundel want the state's 880,000 nonaffiliated voters — who now outnumber registered Republicans — to be able to choose nonaffiliated candidates for those partisan offices. "Although nearly one-third of Oregon voters are not affiliated with any political party, those non-affiliated voters often feel left out of the primary process in the current system," Steve Elzinga, Richardson's governmental and legal affairs director, told lawmakers on Wednesday, Jan. 30. Under the proposal, nonaffiliated candidates could enter a state-run primary where nonaffiliated voters could cast a ballot for the nonaffiliated candidate they preferred. The winning nonaffiliated candidate would go to the general election in November and be an option for all voters in that contest. Officials from Richardson's office shared the proposal Jan. 30 with senators at a meeting of a committee focused on campaign finance laws. 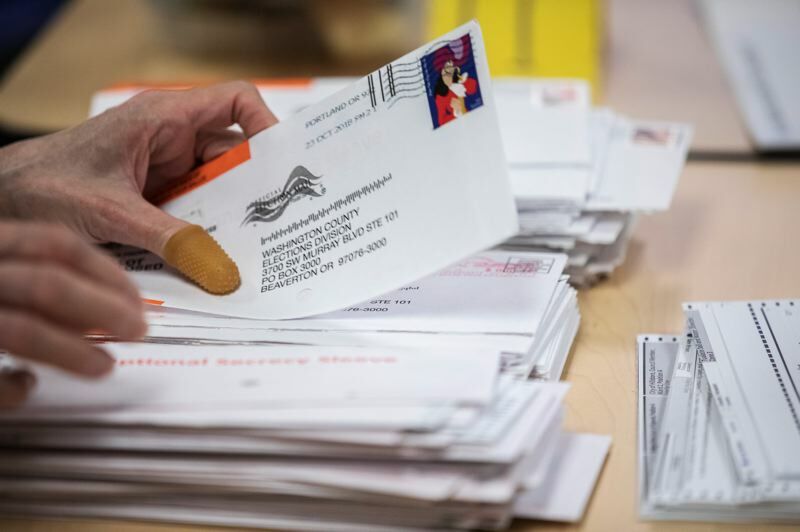 State Sen. Floyd Prozanski, D-Eugene, expressed concerns about allowing nonaffiliated voters to participate in a major party primary and potentially "sabotage" the outcome. The bill wouldn't do that, though, Elzinga clarified. "It creates a new, effectively, a new party for nonaffiliated voters," Elzinga responded. "They have their own separate primary for voting on nonaffiliated candidates, and the top nonaffiliated candidate goes to the general election as the nonaffiliated nominee." Major party candidates would be ineligible to win the nonaffiliated primary election "so it doesn't create a proxy battle," Elzinga said. Major parties have the option of opening their primaries to all voters. Republicans and Democrats typically keep their primaries closed to party members. The Independent Party of Oregon decided to allow nonaffiliated voters to participate in its primary last May. Nonaffiliated voters could request a special ballot from the secretary of state's office to take part. A second proposal from Richardson could apply to the roughly 45,000 Oregonians who belong to the state's five minor parties — the Libertarian, Constitution, Working Families, Progressive and Pacific Green. Oregon laws "benefit long-established major parties at the expense of smaller parties," Elzinga told lawmakers. Members of those parties can select a general election candidate through a party-run process. Richardson has proposed allowing the state to pay for and run those primaries instead. "I will tell you, frankly, some of the minor parties are not excited about that," Elzinga said. "They like the current process, and so we don't feel it's appropriate to require them to do so, but to give them that option at least at that time, I think is a good starting point." The state would pay about $140,000 to run the nonaffiliated primary every election year, and $140,000 per minor party that chooses to participate in a state-funded primary. Richardson's proposal is before the Senate Rules Committee, where its fate is uncertain. Senate Majority Leader Ginny Burdick, D-Portland, who chairs the committee, thinks the issue is still undecided. "Basically it's too early to tell for sure," wrote Burdick's spokesman in an email. Zundel is clear-eyed about the obstacle his idea faces in a Legislature where all legislators represent the major parties. "Making it easier for nonaffiliated candidates to get on the ballot is going to increase the possibility that they'll have competition," Zundel said. "And I think they're less afraid of competition, per se, and more afraid of splitting the vote, causing somebody to lose an election who may have had a majority if there wasn't another candidate in the race."